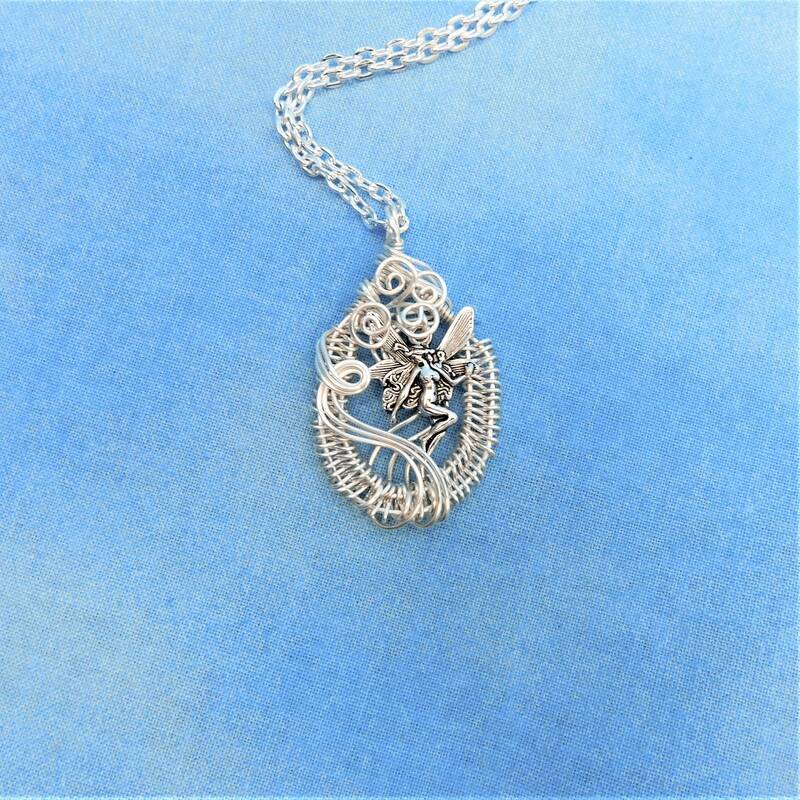 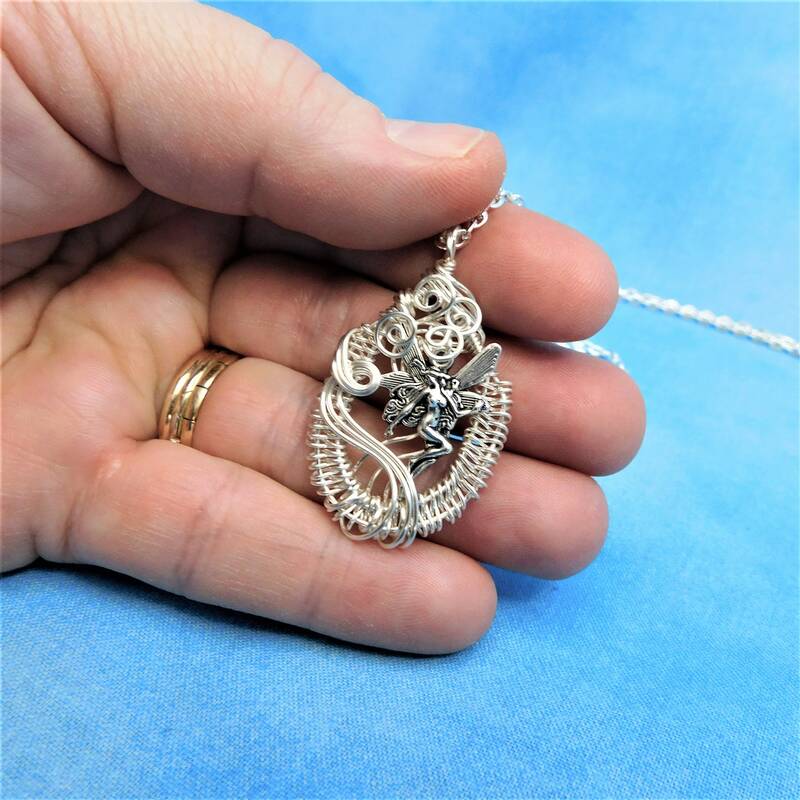 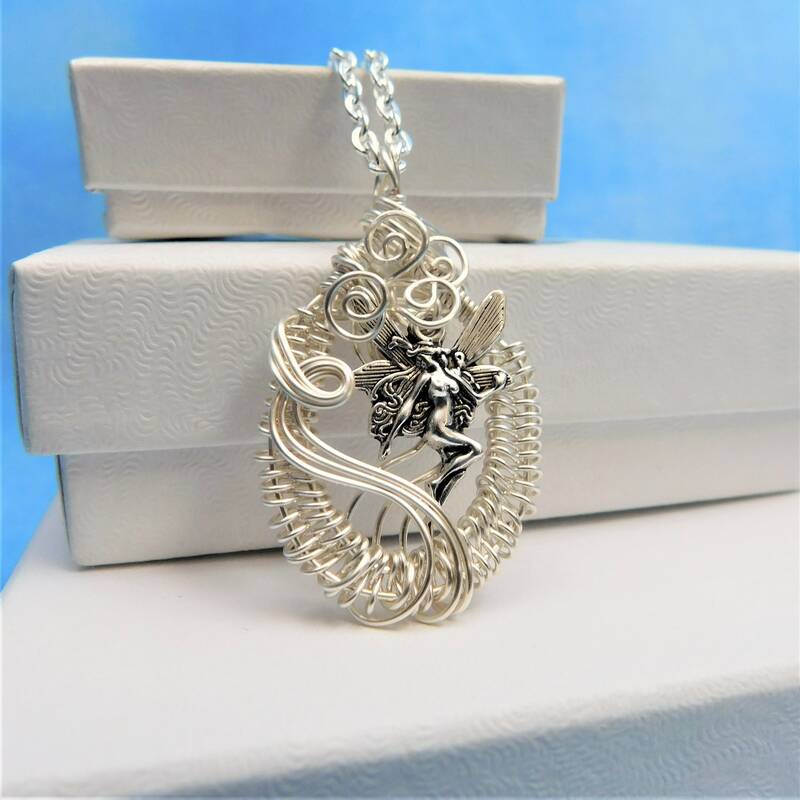 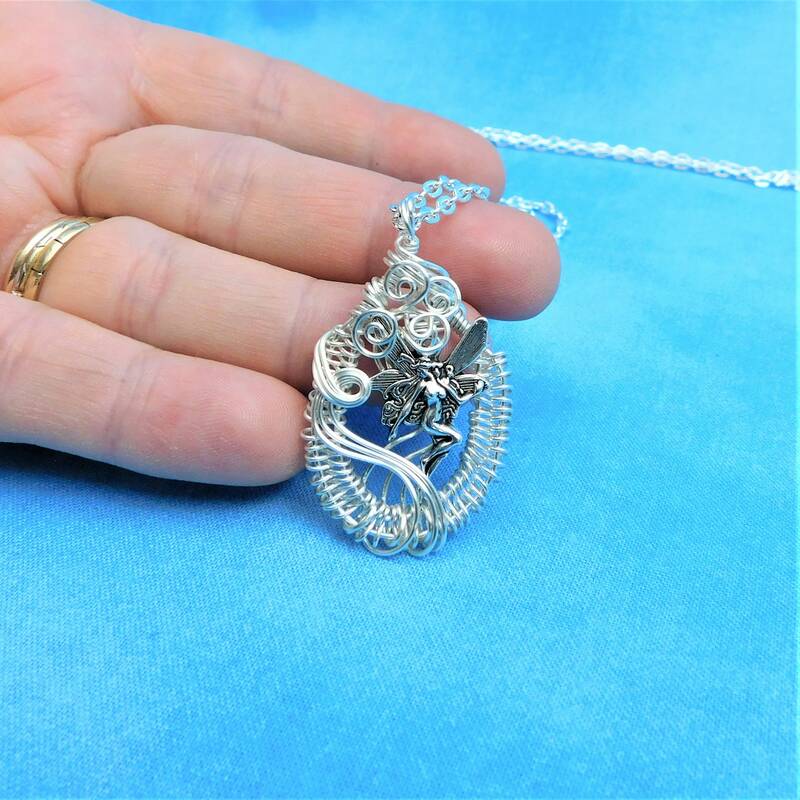 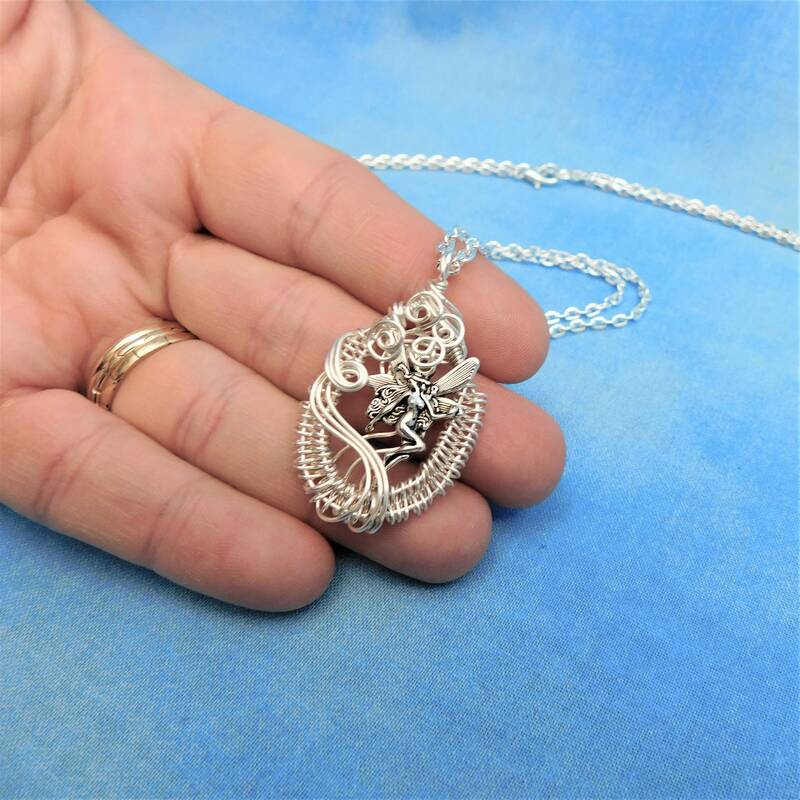 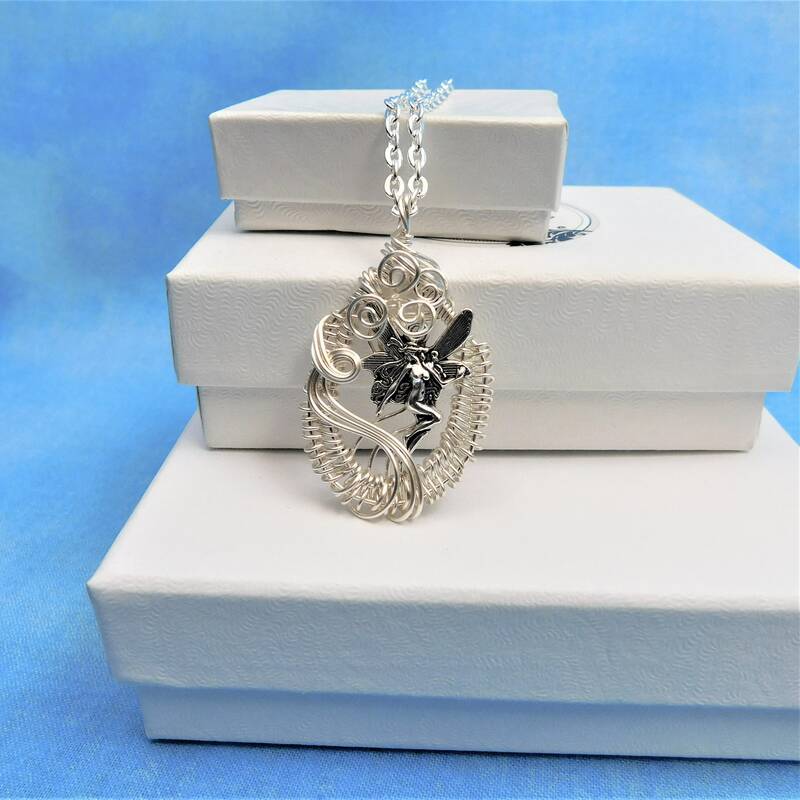 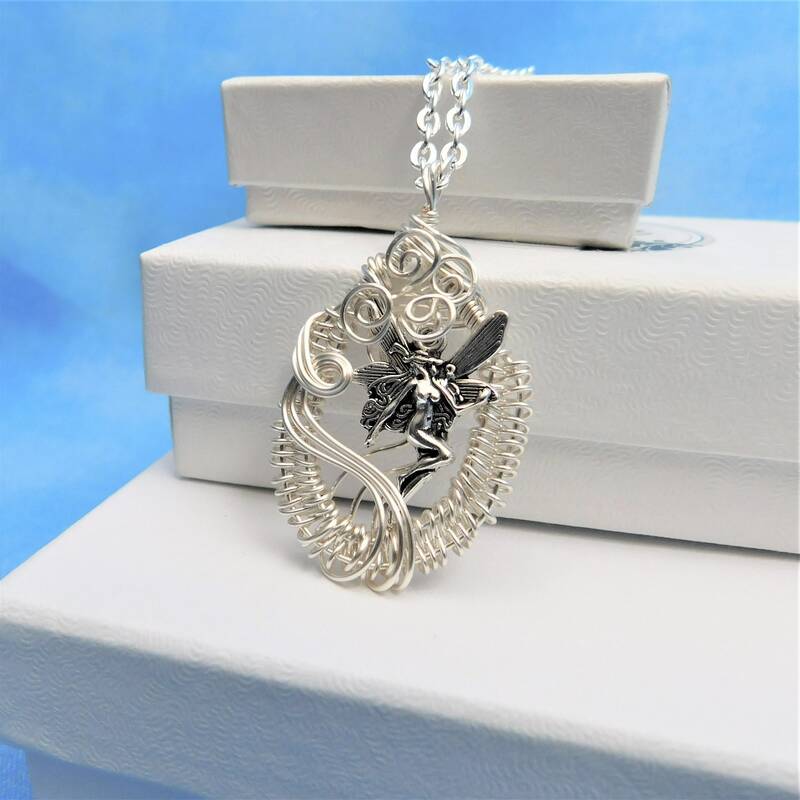 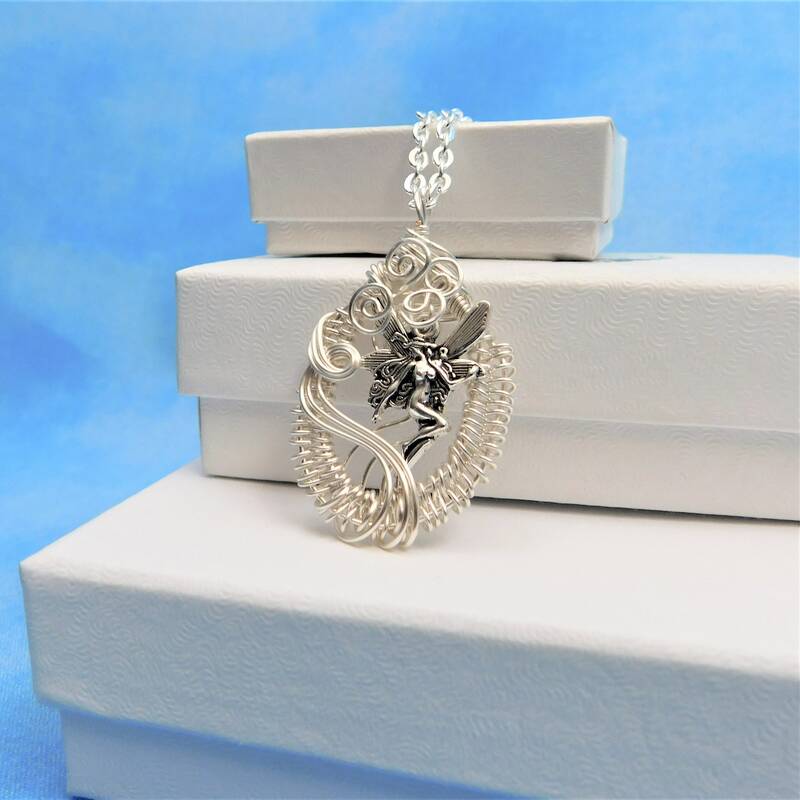 A tiny Fairy is delicately framed with hand woven anti tarnish fine silver over copper wire, creating a 1 1/4 inches by 1 inch pendant. 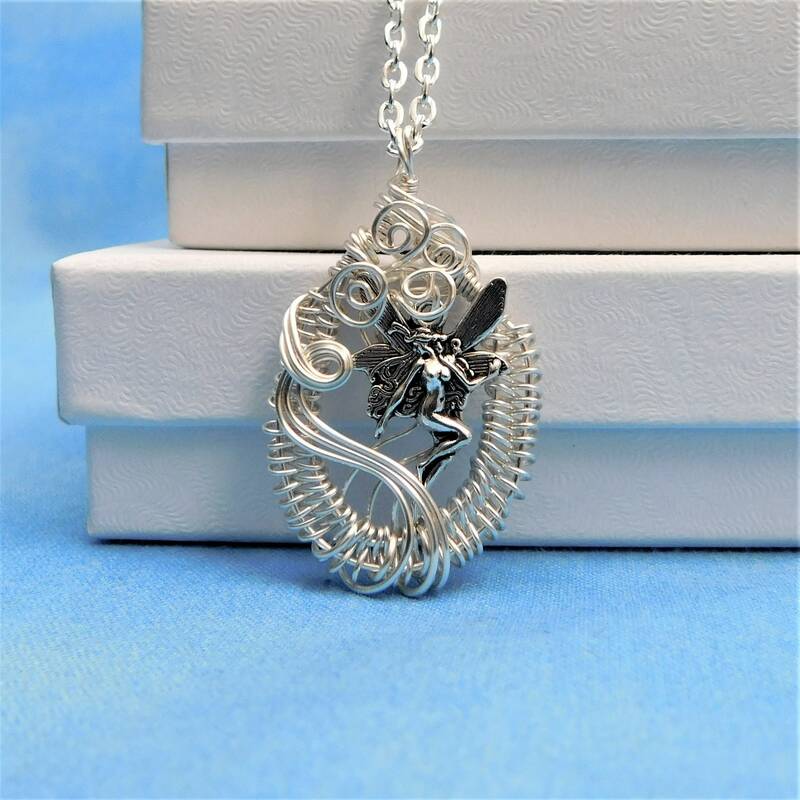 The art deco style mythical sprite reminds the wearer to hold onto their youth, at least in spirit. 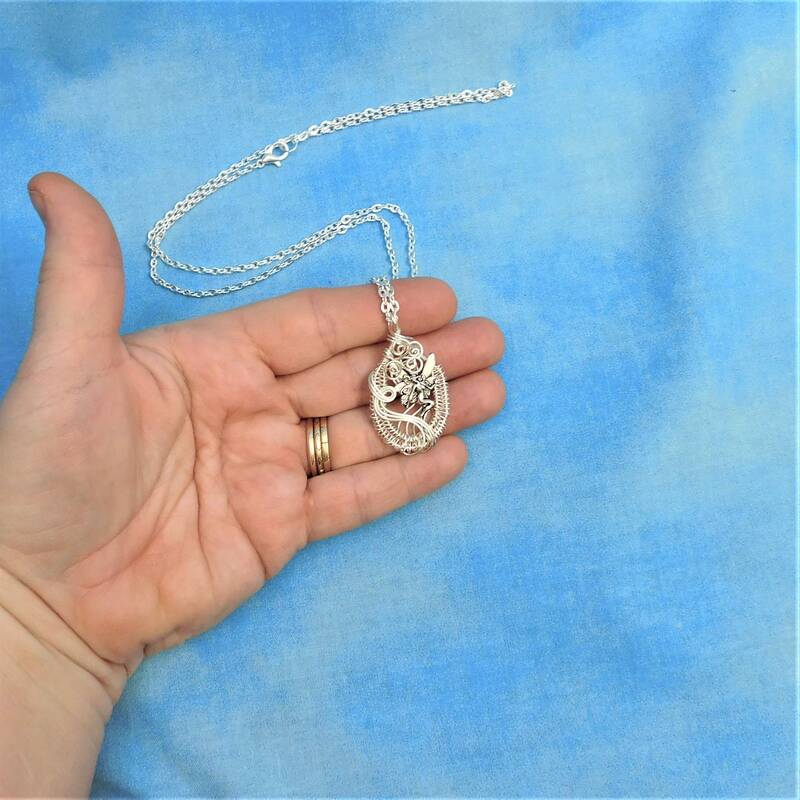 This small beautiful pendant comes with a FREE silver coordinating chain with lobster claw clasp, measured to your preferred length.